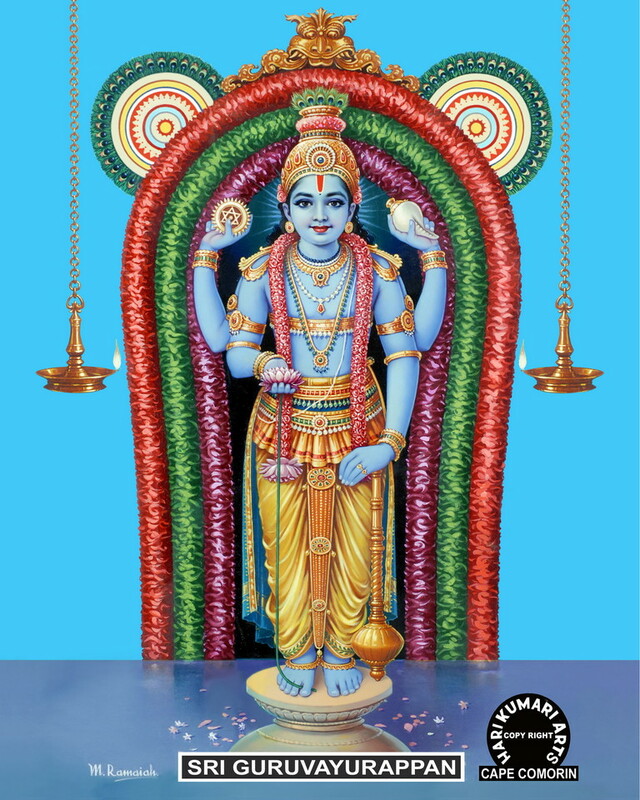 I visualize Sudarshana the eliminator of all hostile forces, located within the six-cornered star, bearing the conch, discus, bow, axe, sword, trident, noose, goad, the diamond-shield, plough, cudgel, mace, spear, with aweful sharp fangs, with blazing halo, three eyes, the intensity of a raging inferno, adorned with garlands and anklets. This Shatkona is also found in the Sudarshana Yantra, which is worshipped as the Sudarshana Chakra. In the image given in the question too, we can see a Shatkona (six-pointed star). So, they have drawn it roughly as per the Dhyana Sloka. Actually, sudarshan chakra is a manifestation of Narayan's Ida and Pingala naadi. Shiva, the Adiyogi, taught Narayan the way to use power of these Naadis as a weapon, in the form of boon to His Tapasyaa. And as we know that these Naadis are used to enlighten the 7 chakras in body. So, one can use power of Chakras and Naadis(in Sanskrit, this thing is mentioned as Yogshakti) in such a way(like a weapon), if learned from any Siddh yogi(Here, Shiva Himself). 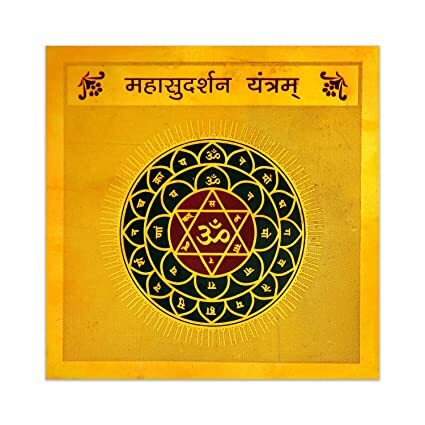 Henceforth, sudarshan chakra is represented as Tantric Chakra because both the systems are conveying similar messages, i.e., using Chakras and Naadis efficiently. Not the answer you're looking for? Browse other questions tagged identification-request sudarsana .